“SKIRMISHES AND SHORTAGES: NC IN 1863” Living history featuring musical performances by the Huckleberry Brothers Band, tintype/ambrotype photographer Harry Taylor, and guest speaker Raina Kellerman presenting on “Women in Civil War Arsenals.” Discover the story of “Long Grabs” McSween, the unofficial war correspondent for the Fayetteville Observer. Learn more about his extraordinary life and listen to an interpretive reading of his letters. Musket firings at 10:30, 12:30, and 2:30. Hands on activities: Cartridge Rolling. “WAR AND SURRENDER DEPICTED THROUGH PHOTOGRAPHY, ART, AND JOURNALISM” Join us as we showcase the American Civil War throughout history and how it has been portrayed through photography, art, and journalism. Historians, artists, and authors will share their artwork, books, and exhibits on how the war has been viewed and preserved. Civil War soldiers will be encamped around the Bennett Farm demonstrating life as it was during the Civil War.. 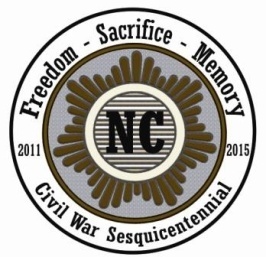 The annual Unity Monument wreath laying ceremony will take place with special presentations and guest speakers. 5 E. Edenton Street Raleigh NC Sunday April 28, 2013 2pm. “THE POWER AND POPULARITY OF MUSIC IN THE CIVIL WAR” Christian L. McWhirter, Assistant Editor for the Papers of Abraham Lincoln will speak from published and archival material from the National Archives. McWhirter analyzes the numerous ways music influenced popular culture in the years surrounding the war and discusses its deep meaning for both whites and blacks, South and North. 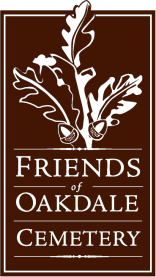 Enjoy a morning of birding at Oakdale with Dr. James Parnell, noted ornithologist and author of numerous books and articles about birds. Dr. Parnell is a retired professor of biology at UNC-W. Tour cancelled in event of inclement weather. Admission is $10 for non-members; free for members. Mr. Chris Nelson will lead the tour about most notable people of public service. He will give the details of the men who served as firemen in Wilmington and their events which may have led them to their final resting place in Oakdale. Tour cancelled in event of inclement weather. Admission is $10.00 for non-members; free for members. Mr. Eric Kozen, Superintendent will take you on a special tour of the cemetery explaining its 150 + year old history. Give you a taste of horticulture specimens along with funerary art. Tour cancelled in event of inclement weather. Admission is $10.00 for non- members; free for members. This month we recorded 39 members and guests at our February meeting. The History Center recorded 55 visitors. The gift shop took in $ 57.40. A huge thanks to Chris Fonvielle for leading the Walk to Sugar Loaf again this year. We netted $225 in donations. Please welcome new member Tony Phillips of Carolina Beach. VOLUNTEERS NEEDED! Rebecca has been madly clipping almost 10 years of old newspapers that had accumulated in our archives. Now we have lots and lots of clippings and new subject folders that need to be filed. No computer experience required. If you have a couple of hours a week for a short-term project, please consider helping us get all our resources in tip-top shape. We also need people with some basic computer experience to enter these subject records into our online catalog, which is a much more long-term project. The Society desperately needs one or two people to revitalize the Historic Building Plaque Program! A number of the plaques need to be refurbished and new properties scouted for future documentation. High Rock was northeast of Corncake Inlet approximately 2 1⁄2 to 3 miles below Ft. Fisher pier. You don’t see it. They all had their own separate marks – shoreline…you could see across the river…a tree… and you’d put that in with another one here and where they cross, that’s where you anchor. Six or seven Freemen fishermen fished with a rowboat. They’d go out to a place called High Rock in the early fall time of year. June, July and August, just forget it. It’s not like it used to because the mullet don’t run. Each fisherman would keep his own fish on a stringer, so when he came back in, he took his fish and sold ‘em. There was always a crowd waiting. The man who owned the boat would take a percentage of each man’s catch. Early fall was mullet, Black Trout or Speckled Trout. You catch them in nets, too. Winter was Roe mullet. You catch catfish in the river on trout lines. Spring was Virginia mullet, also known as Whiting. Spots don’t come in until early August. You have to go off shore now to catch mackerel, King mackerel and Spanish mackerel. Summertime was black fish and gray trout. Sometimes you’re trolling; other times bottom fished anchored in places that you’d found through experience. Read more about Ann Hutterman’s presentation here. At our March meeting, Ann Hutteman, a local historian and writer spoke about the life and times of Captain John Harper, ship captain, land developer, and an important figure in the founding of Carolina Beach. Capt. 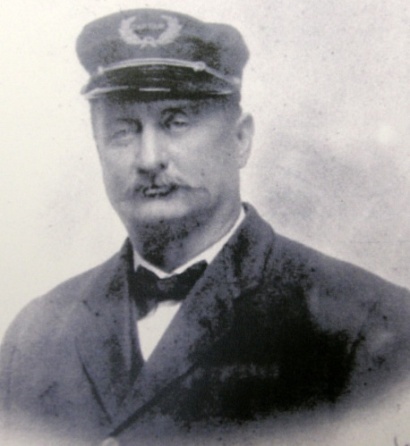 John Harper, ran the steamship Wilmington from 1891- 1917. John’s older brother ran daily trips from Smithville to Wilmington first, and then the brothers joined to bring the steamship Passport from the mouth of the river to Wilmington for a fare of 50 cents a head. In 1891 the Harper brothers bought a steamer, already named Wilmington, in Philadelphia. The ship could carry 500 passengers. At that time a small railroad ran from Sugar Loaf to the beach for 25 cents. The Harper’s also owned a dance pavillion at the end of the rail line and other properties at the Beach. John Harper died in 1917 and is buried in Oakdale Cemetery. His granddaughter, Catherine Stribling, is alive and a resident at Autumn Care and eagerly talks about her family and grandfather. The steamer Wilmington became a fishing excursion ship in Tampa Bay until 1930, and is rumored to still be actively running in Brazil today. Ann Hewlett Hutteman, local historian and writer is a sixth-generation Wilmingtonian, Ann attended Wilmington College and taught school in this area. 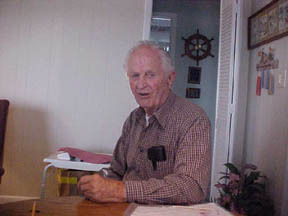 Her father’s family, the Hewletts, have lived in the Masonboro Sound area since the American Revolution. 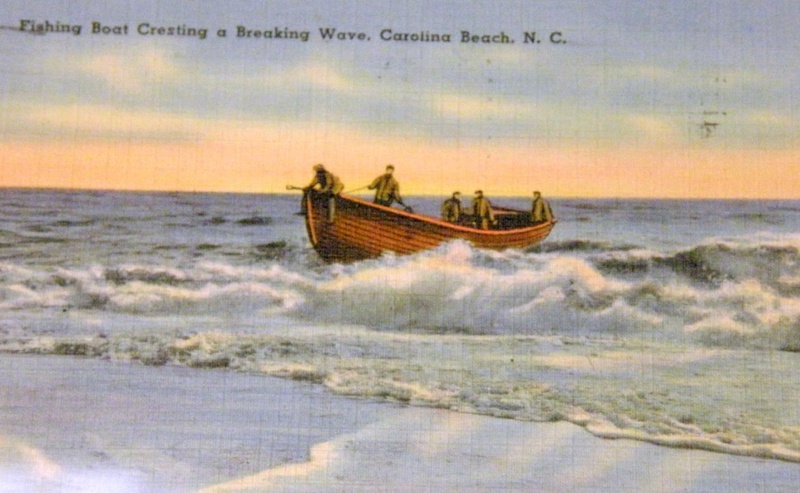 Ann calls them “real clam diggers.” Ann’s book ‘Wilmington, NC A Postcard History’ is a significant resource for people doing local history research. She has also written a number of local church histories and is an expert genealogist.